Today we are proud to announce that IBM will be the main partner of the 2018 edition of State of the Net, the international conference which tries to capture the state of art of the internet. State of the Net 2018 will take place in Trieste (Italy), on June 14th and 15th, and this year will mark the conference’s 10th anniversary. State of the Net has always been investigating the impacts of the Internet on our society, and “Consequences” is the main theme of the 2018 edition: what are the consequences of our development choices, of knowledge distribution, the launch of a global social network? On June 14th, State of the Net will paint a picture of today’s interactions between the digital world and public administration in Italy. It will do it thanks to the leading industry stakeholders, focusing on cloud services, artificial intelligence and augmented intelligence, blockchain, new expertise and jobs. The following day, June 15th, the conference will shift its focus on the digital-era challenges: what are the consequences for our society of a social networking platform that reaches 2 billion people? How will we sustain growth within a digitalized world? How should we handle an infrastructure that becomes every day more articulated and expensive? «On the national scale, we want to continue the fundamental dialogue about digital innovation in the public administration and facilitate a debate about the future of procurement innovation and public-private collaboration in the context of the digital transformation of Italy», said Simone Puksic, chairman of the board of Insiel, who co-organised the event. 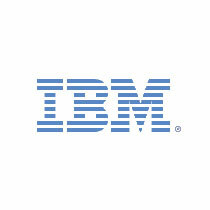 «We are happy to announce the partnership with IBM. It confirms State of the Net’s commitment to researching quality subjects for a conference that puts on the spotlight an in-depth comprehension of contemporary issues and the dissemination of a digital culture», said State of the Net’s founders Beniamino Pagliaro, Paolo Valdemarin and Sergio Maistrello. State of the Net 2018 is a free conference, but registration is required. The conference is organised by Associazione culturale State of the Net, and co-organised by Regione Autonoma Friuli Venezia Giulia and Insiel. We are happy to announce that eDreams, the european online travel agency, is partner of State of the Net 2015.
eDreams is the leading online travel agency in Europe, which for over 15 years, offers its customers the choice of flights from over 440 airlines, more than 150,000 different combinations and more than 550,000 hotels in 40,000 destinations worldwide, as well as offering vacation packages and car rental services. eDreams, combined with Go Vogayes, Opodo, Travellink and liligo.com, is part of the group eDreams ODIGEO, one of the largest distributors of online flights worldwide (in terms of revenue) and one of the largest companies of e- commerce in Europe. During the last year, over 16 million travelers have relied on the company to book flights, hotels and travel. The goal of eDreams is to offer the largest selection of flights, hotels, dynamic packages flight + hotel and holiday packages, with the most competitive price in the market. eDreams offers to clients highly innovative search engines that allow to compare different offers and to book online in a convenient and flexible way. eDreams offers its services in 33 countries: Spain, Italy, France, Portugal, Germany, United Kingdom, Australia, Brazil, Canada, Mexico, Chile, India, Peru, Venezuela, Argentina, Colombia, Switzerland, Turkey, USA, Singapore, UAE, Hong Kong, South Africa, New Zealand, Indonesia, Philippines, Egypt, Morocco, Thailand, Greece, Netherlands, Russia, Japan, and the global market in English. Founded in March 1999, in the USA, by Spanish Javier Pérez-Tenessa and the North American James Hare with the aim of creating a travel agency on the Internet in Europe. In 2000, it opened its office in Barcelona, Spain, at the same time launching its business on the Spanish and Italian market. The Italian office is headed by Country Manager Angelo Ghigliano. Throughout its history, eDreams has grown at a pace unmatched, especially in 2004. It was now the fastest-growing company in Europe for three consecutive years, with annual increases of 100% compared to the travel industry average of 4%. In June 2011, eDreams joins Go Voyages and takes over Opodo, and changed its name eDreams ODIGEO and establishing itself as the first online tour operator in Europe. In 2013, eDreams ODIGEO completed a major strategic transaction with the purchase of the metasearcher liligo.com, thus expanding its traditional line of business as an online travel agency to an OTA with other complementary divisions. In April 2014 eDreams ODIGEO achieved a historical milestone when it began trading on the Madrid Stock Exchange. Who chooses eDreams receives assistance and support from the time of booking and for the duration of the trip. For this reason the company is counting on a large qualified staff that operates both from the head office in Spain and from Italy, France and the United Kingdom offices. In 2014, eDreams increased its staff by more than 30% and currently has over 1,700 employees worldwide. The staff is a reflection of an international company as its workforce is made up of people from 60 different nationalities. Customer care is a cornerstone to the success of eDreams, always committed alongside its customers with ongoing direct contact to meet all requirements and provide answers quickly, in order to improve service . There are thousands of people who every day come in contact with Customer Service (89.22.44) with questions and special requests. They are managed over one million calls a year that require knowledge of different languages: Spanish, English, French, Italian, German, Portuguese, Turkish, Greek, Russian and Hindus. The level of loyalty of eDreams’ customers is very high and is growing. A large percentage of customers comes back to acquire within a period of time less than 12 months. eDreams invests millions of euros each year in the latest technology, in order to provide its customers with the best service. The company’s constant commitment to innovation makes it a pioneering agency in terms of technological development. In 2012 eDreams launched its free iPhone app and in 2014 the Android one. An application with which the customer can easily find cheap flights and filter the results to select the one that best suits their needs in a simple and instantaneous way. eDreams is currently present on 46 mobile sites, in more than 17 different languages, and has registered more than 4 million downloads of its mobile app worldwide. In 2015 eDreams launched its app for Apple Watch devices. We are pleased to announce that Eni will be partner of State of the Net 2015 conference. 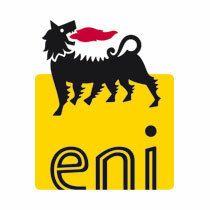 Eni is a major integrated company that operates throughout the energy supply chain, with more than 84.000 employees in 83 countries worldwide and a strong committment on exellence, health, safety and the protection of the environment. Below, the official press release from the company (in italian). Eni è partner di State of the Net, conferenza che cerca di catturare lo stato dell’arte di Internet in Italia e nel mondo, considerando il suo impatto sulla nostra società. SotN è un incontro fondamentale per l’industria italiana e per la community tecnologica, in quanto indaga le dinamiche e le opportunità offerte dal mondo digitale corrente. Nel panorama delle relazioni e del dialogo costante con le comunità in cui opera, Eni si pone come un interlocutore capace di cogliere le aspettative e le esigenze delle comunità, dando giusto rilievo alla promozione e alla diffusione della cultura digitale e dell’innovazione. La conoscenza del territorio, la scelta di interlocutori locali attraverso una rete consolidata di relazioni e l’individuazione dei temi, in sintonia con gli interessi della collettività, sono gli elementi vincenti nelle varie fasi di realizzazione dei progetti promossi dall’azienda. Eni è un’impresa integrata che opera in tutta la filiera dell’energia ed è presente oggi con più di 84.000 dipendenti in 83 Paesi nel mondo. Il nostro modo di operare fondato sull’eccellenza operativa, l’attenzione alla salute, alla sicurezza e all’ambiente è volto alla prevenzione e alla riduzione dei rischi operativi. In prima assoluta per l’Italia, a State of the Net 2013 debutta Feathr, un’applicazione per smartphone Apple e Android con cui diventa molto più facile e veloce gestire e organizzare i contatti sociali a cui si è esposti durante una conferenza come la nostra. Versione evoluta e aggiornata del classico biglietto da visita, Feathr permette di consultare la lista dei partecipanti a una conferenza, tenere traccia delle persone più interessanti, connettersi ai loro profili su Twitter o mandare messaggi, senza mai lasciare l’applicazione. Fa poche cose, le fa bene e fa risparmiare tempo e attenzione. ogni volta che vorrai approfondire la conoscenza di un partecipante o di un relatore che hai trovato interessante, cerca il suo nome nella lista e decidi se iscriverti ai suoi aggiornamenti su Twitter, se chiedergli il contatto su LinkedIn o se mandargli un’email. Puoi anche creare una lista delle persone da tener presente (Remember) e decidere in un secondo momento come interagire con loro, così come prendere appunti a margine di ogni scheda personale. se su iPhone non riesci a personalizzare la tua scheda personale con l’indirizzo del tuo profilo Twitter, vai in Impostazioni, Twitter, Consenti a queste app di usare il tuo account e lì attiva Feathr. NOTA BENE | Nel rispetto della privacy di chi si è registrato a State of the Net, noi non possiamo caricare automaticamente la lista gli iscritti su Feathr. È dunque necessario che, chi lo desidera, si registri spontaneamente sia all’applicazione che all’evento State of the Net contenuto al suo interno. Feathr sarà tanto più utile quanto numerosi saranno i partecipanti che la utilizzeranno nei prossimi giorni. DA DOVE VIENE? | Feathr è una start up con sede presso l’Innovation Hub dell’Università della Florida, negli Stati Uniti. La versione 2.0 dell’applicazione è stata lanciata all’inizio del mese di maggio. L’idea è venuta nel 2011 a due studenti dell’università, Aidan Augustin e Neal Ormsbee. Oggi la società, che ha ricevuto 150.000 dollari di investimento da un fondo della Silicon Valley, conta sette sviluppatori, tutti tra i 21 e i 24 anni. Tra le novità di State of the Net 2013 c’è anche la SotN Room. Alcune aziende ed enti partner hanno scelto State of the Net e la nostra grande e qualificata comunità per presentare progetti e proposte connesse all’evoluzione della rete. Vi vorremmo presentare un interessante progetto di TurismoFvg, nostro partner per State of the Net. Il Digital Diary del Friuli Venezia Giulia è un progetto di marketing non convenzionale che presenta la regione attraverso gli occhi di 7 videobloggers internazionali (Germania, Olanda, Irlanda, Stati Uniti, Sud Africa, Canada). Questi giovani videomakers hanno trascorso 7 giorni in regione effettuando tutta una serie di attività coinvolgenti e originali, alle quali si sono aggiunte quelle originate dalla propria creatività: grazie al loro atteggiamento “friendly” sono molte le persone incontrate durante gli shooting che hanno svolto anche la parte di “attori” spontanei. Tutti i video saranno lanciati in rete – attraverso il destination blog di TurismoFVG (attivo dal 29 giugno), il canale Youtube (www.youtube.com/FVGlive) e molti altri canale/media on line, vista la viralità naturale che queste forme di comunicazione, assolutamente copyleft, suscitano – dove partecipano a un concorso che dura tre mesi (fino a fine settembre): i tre video più visualizzati riceveranno un premio in denaro. Lo scopo principale è che tali video si diffondano il più possibile, promuovendo così la regione attraverso uno stile giovane, frizzante, inconsueto ed “emozionale”. Gli ospiti di State of the Net troveranno una curiosa sorpresa al Magazzino 26: un’installazione del Parallelepipedo disegnato da Alfred de Locatelli e realizzato da Fabbro Arredi. Sandro Fabbro, seconda generazione alla guida dell’azienda, ha scelto una via inconsueta per trasmettere l’essenza del proprio lavoro avviando una collaborazione con Alfred de Locatelli, eclettico artista che insegna all’Accademia d’Arte di Brera e che espone in tutta Europa. Lo scorso anno questa sinergia portò alla nascita dell’installazione “Il suonatore di parallelepipedi”, costruita intorno a un albero per esprimere simbolicamente forza e bellezza. Il Parallelepipedo è stato anche un punto di attrazione della recente Settimana della cultura 2012 a Udine (a Palazzo Morpurgo), sotto il patrocinio del Comune e dei Civici Musei. Dopo Udine e le tante apparizioni fra i boschi del Friuli o le spiagge di Lignano, ora il Parallelepipedo è pronto a confrontarsi con nuove situazioni, come accadrà al Magazzino 26. Fabbro Arredi è a Magnano in Riviera, una falegnameria artigiana che da oltre 50 anni produce arredi su misura di alta qualità per abitazioni, alberghi, comunità, negozi, uffici e tende quotidianamente all’eccellenza; opera in Italia, Usa, India, Turchia, Svizzera, Austria e Dubai.